Italy has no shortage of treasures—you could make as many trips out of it as there are regions. 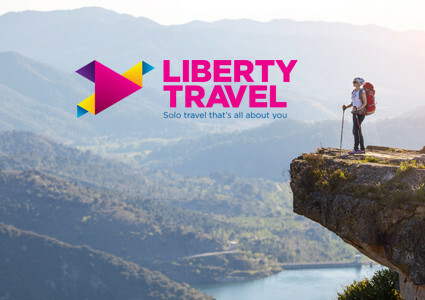 The history of Rome, the ruins of Pompeii, the beauty of Florence, the Carnival in Venice, road trips in Tuscany, and hikes in Cinque Terre are all excellent reasons to visit. Rare is the destination that can combine culinary arts, historical monuments, art museums, and unique landscapes with so much gusto. 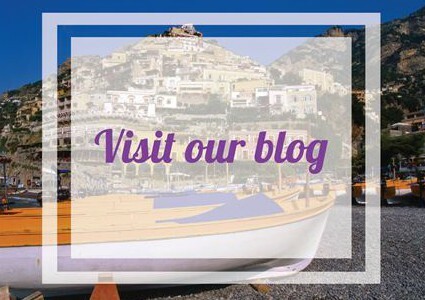 To make sure that you don’t miss anything, our travel agents have compiled their favorites to help you get ready for your vacation in Italy. With its history stretching back three millennia, Italy has a lot to show you. From the gladiators’ days and Renaissance times to the bleak years of the dictatorship, the country has never stopped reinventing itself and has always been an object of fascination. The possibilities for exploration are limitless, and any traveler can find something to their taste among the different regions. Whether you’re looking for a gourmet vacation, historical discoveries, or an athletic excursion, everything is possible in this European country. Italians are expressive! Don’t be surprised to come across a shouting match between two drivers or a flirting session on the street. Gestures lend some theatricality to any discussion. You know the phrase “When in Rome, do as the Romans do.” Italians are proud of their culture and especially protective of their cuisine. A cappuccino is never ordered after 11 a.m., and parmesan cheese never goes on pasta with seafood! 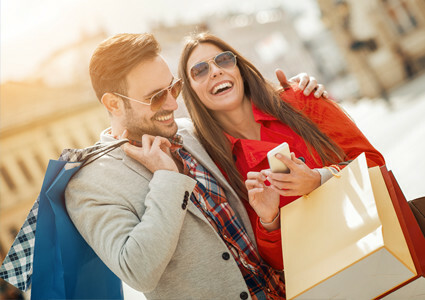 Lively parties, good wine, generous cuisine, haute couture: Italy will delight travelers who love the finer things in life, who can indulge in all these pleasures guilt-free. Go ahead and spoil yourself! 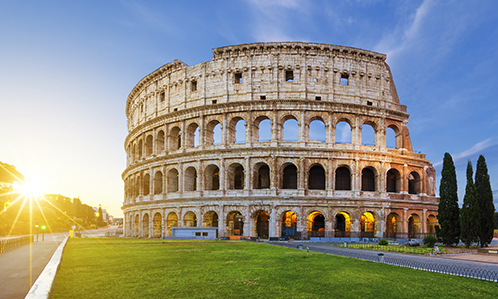 Eat tasty dishes in Rome; watch the sunset at Cinque Terre; grab yourself a designer accessory in Milan, fashion capital of the world; and marvel at the works of Michelangelo! 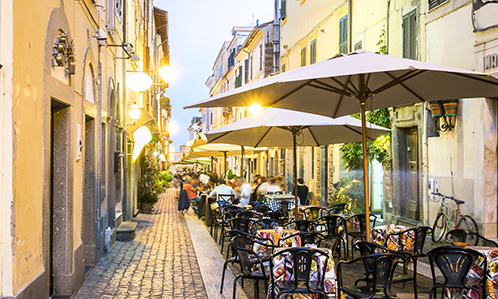 Italy is imbued with so much romance, fine dining, and beauty that it offers an endless playing field to travelers. 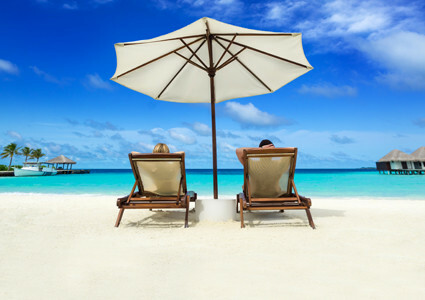 Plan your trip with the help of your travel agent to make sure you don’t miss anything. As everyone knows, all roads lead to Rome! The Colosseum, the Trevi fountain, and the pasta have all made the capital of Italy the stuff of dreams for more than one visitor. Traces from the age of the Roman Empire and baroque edifices mingle with boisterous modern restaurants that liven up the neighborhoods. Rome is a superb mix of the past and the present. Inland, the continental climate brings summer heat waves and harsh winters. 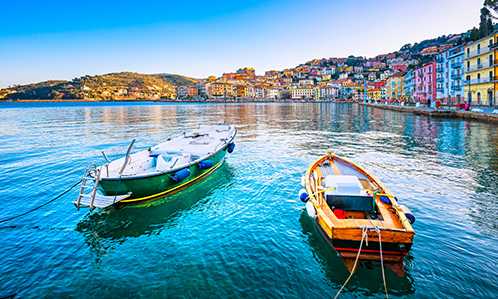 On the coast and in the south, the country enjoys a more pleasant Mediterranean climate, with mild winters and dry summers. Temperatures can sometimes reach 40°C in certain places, however, not unlike destinations in the South. Stick to morning and evening excursions and have a nap in the afternoon! It’s easy to find flights to Rome, Venice, Lamezia, Milan, and Florence leaving from Canada. You’ll have no trouble flying to Italy! Italians generally dress with style. You don’t need to bring designer clothing, but you’ll draw less attention in town if you leave your cargo pants behind. 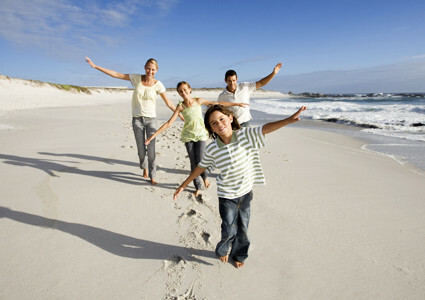 In summer, pack light clothing and breathable fabrics, because it will be hot. For other seasons, add some sweaters and pants. Warm clothing is of course a must for the Alps in wintertime. No matter what, make sure to pack comfortable footwear, because you’ll be walking a lot, especially in Rome and Venice. Italian food is one of the essential pleasures of a trip to Italy. Every region has its specialties and every family has its classics handed down from generation to generation. All of it is local food that stands out for the freshness of its ingredients and the generosity of its portion sizes. Fresh pasta: lasagna, carbonara, al pesto, tortelli… This is one of the country’s true culinary icons; there are so many pasta options that you could eat it every day and never get bored. In the northern regions, pasta is served with cream, while in the south they prefer to garnish it with tomato sauce. 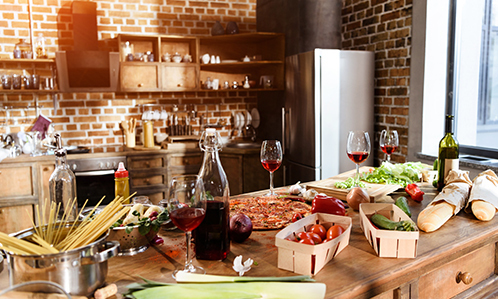 Pizza: Originally from Naples, Italian pizza is cooked in wood-fired ovens. Risotto: Smoother and with fewer additions than Spanish paella, this braised rice dish is served as a primi piatti (appetizer), primarily in the northern and central regions of Italy. Ossobuco: This traditional Milanese dish is a ragout of veal braised in white wine and garnished with carrots, tomatoes, and leeks. What makes the dish special is marrow, cooked with the bone. Gelato: Nothing is better in summertime than enjoying one of these Italian ice creams. Don’t feel bad about getting yourself a scoop or two every day; after all, you have to try all the flavors, don’t you? Coffee: The wonders of Italian coffee need no introduction. Will you be having an espresso, a macchiato, a caffè latte, or a cappuccino? Wines: Italy is particularly well-known for red wines from the regions of Piedmont and Tuscany. Grappa: This spirit made from grape marc is served after dinner. It’s often flavored with herbs, spices, or fruits. Be aware that a service charge (pane e coperto) will be added to your restaurant bill at an average of 1 to 3 euros per person. It’s a good idea to leave 1 euro for the waiter, and to round up the total for a taxi. Considered the smallest country in the world, the Vatican is a must-see when visiting the magnificent city of Rome. It’s not often that you’ll have the chance to see the Pope in person at St. Peter’s Square, riding around in his “Popemobile” not 50 meters away from you! Don’t hesitate to venture into the papal crypt to reflect by the graves of Popes past. You can even visit the tomb of St. Peter, located in a catacomb more than 150 meters below St. Peter’s Basilica. Ravello will enchant you from its rocky perch. Pause and take a look after driving (or even flying) along the winding routes that meander through the ridges of the Amalfi Coast, where the views are absolutely breathtaking. While you’re there, enjoy a refreshing glass of limoncello while sitting on one of the many terraces that look out over the deep blue sea. Listen to some classical music and gaze upon the Temple of Concordia at night, shining brightly atop a hill above the city against a backdrop of stars. An exquisite pleasure for your ears! Even if you’re not a fan of sports cars, a visit to the impressive Ferrari museum in Maranello is a must. You’ll find the entire Ferrari racecar stable on display there, and you can even watch Formula 1 drivers training on the test track next to the factory. Visit a subterranean catacomb on the outskirts of Rome where the first Christians lived in secrecy. 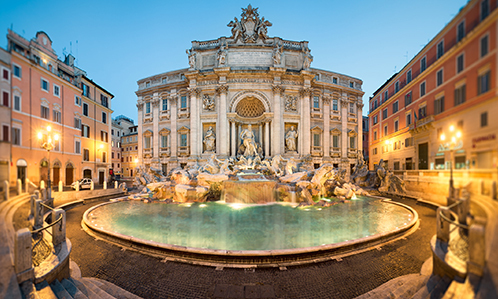 While you’re there, take part in a tradition by stopping at the Trevi fountain and tossing in a coin. No, Venice isn’t just gondolas. Make the most of your time there with a nice supper on a terrace along the Grand Canal after a water-bus trip, or admire the sunset from the terrace of the Hotel Danieli. Shop for crafts and leather goods on the Ponte Vecchio (“old bridge,” in English), the oldest bridge in Florence. It’s more than just a bridge: it’s also a pedestrian pathway, a shopping arcade, and a vantage point for a spectacular view of the Arno river. Visit the Greek temples of Paestum, located near Agropoli. Many claim that the vestiges of Ancient Greece located in Italy are even better preserved than those in Greece itself. Those who want to stretch their legs a little more can venture to Mount Etna, one of the most active volcanos in Europe. After climbing over 3,300 meters into the air, you’ll be able to admire a stunning, moon-like landscape. After you’ve strolled through the picturesque alleyways and medieval streets of Sienna, take some time to enjoy a generous meal on a terrace at the iconic Piazza del Campo. The curving outline of the Piazza is home to the famous annual Palio horse race.